Update Friday, Jan. 29: On Thursday, health insurer Capital BlueCross said beleaguered blood-testing company Theranos would stop drawing blood at the insurer's retail store in Enola, Pa., according to The Wall Street Journal and local reports. That move came on the same day that Walgreens suspended Theranos services at its Palo Alto, Calif., store and told Theranos to stop sending blood samples taken at any Walgreens to Theranos' Newark lab for testing. That lab was found to be deficient in a way that put patients in "immediate jeopardy," according to the Centers for Medicare & Medicaid Services, which conducted an inspection last fall. Walgreens is suspending Theranos Lab services at the drugstore chain's outlet in Palo Alto, Calif. (also known as Theranos' hometown). Early Theranos-adopter Walgreens also told the company to "immediately cease" sending blood samples collected at Walgreens stores to Theranos' Newark, Calif. lab, which the government found out-of-compliance with standards. The Centers for Medicare & Medicaid Services, the agency that conducted the inspection of the Newark lab last fall, said the facility was deficient in a way that puts patients in "immediate jeopardy." Walgreens had offered Theranos' FDA-approved blood test for herpes at the Palo Alto drugstore. An employee there says, with the suspension, the Palo Alto outlet is currently not offering any blood testing. The drugstore chain also says it will require blood samples collected at other stores to be sent to Theranos' certified Arizona lab, or to an accredited outside lab. Theranos has several dozen facilities located in Walgreens outlets in Arizona. Theranos responded to news of the CMS findings by stating that the agency's inspection took place last year, and that the report doesn't reflect current practices. The Silicon Valley company also said it is taking corrective steps. Theranos Vice President of Communications Brooke Buchanan said in an email statement today that, "We look forward to continuing to work with Walgreens to provide access to reliable, high quality, and low-cost lab testing services." She also said the company would fix "quickly and completely" the one issue -- related to hematology -- that resulted in the "immediate jeopardy" characterization. We asked Buchanan how Theranos planned to address the CMS mandate that it identify and take "corrective action" for patients who have been potentially affected by the problems at the lab. "We are developing our corrective action plan and that is part of the plan," she said. Founded by CEO Elizabeth Holmes, Theranos has raised millions by pitching its technology as a cheaper, faster way to run dozens of blood tests. Deerfield, Illinois-based Walgreens said no patient samples will be sent to the Newark lab until the issues raised by CMS have been resolved. Any pulling back by Walgreens could be a serious blow to Theranos, once a Silicon Valley darling that seemed poise to disrupt the blood-testing industry. 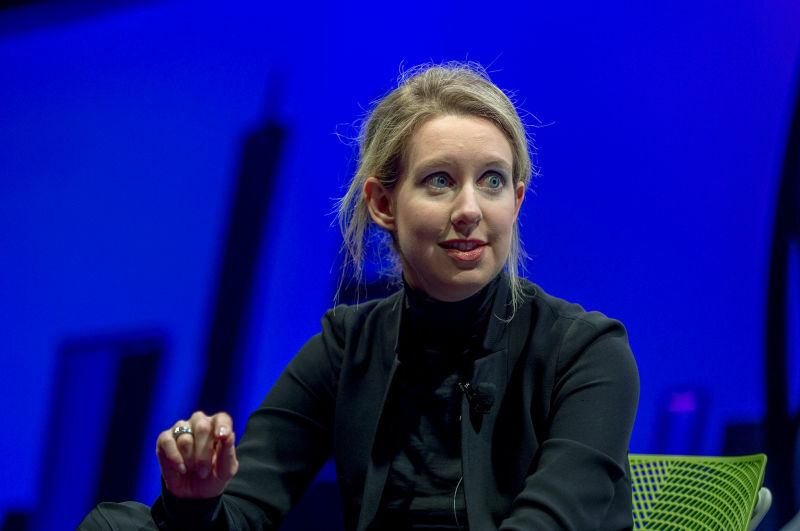 Over the past several months, however, the company has suffered the slings and arrows of The Wall Street Journal, which has published a string of negative stories casting doubts on Theranos' proprietary blood-testing technology. Bloomberg characterized the partnership between Walgreens and the secretive Theranos as "the most public evidence of Theranos's promise of providing quicker and cheaper lab testing." Theranos had asked the Cleveland Clinic, a prominent research hospital, to run a study comparing Theranos’s technology to traditional blood draw, Holmes has said. The Cleveland Clinic, however, said Wednesday that it had started no such program. Intermountain Healthcare, a 22-hospital system based in Utah, said in October that it was planning to run a pilot program with Theranos technology, to be used alongside traditional blood testing for comparison.